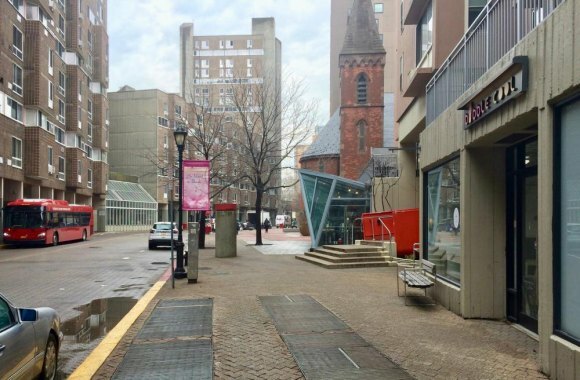 One evening, walking toward the subway, I fell into a conversation with a local business leader over why he believes Roosevelt Island can support enough shops to fill the Main Street canyon. "I asked a lot of people about how much business a town of 14,000 should generate," he recalled, "and they all said, 'With 14,000 people...'" Therein lies one of the meaner untruths that've sucked in so many and cost them so much on Roosevelt Island. Businesses invest under false pretenses. RIOC, in press releasees, has claimed that Roosevelt Island is "... home to more than 14,000 residents," and they've been telling that tall tale for as long as I can remember. Last month, RIOC briefly claimed 15,000 before being called on it. Both numbers are lies. I originally heard it from the editor of the Main Street WIRE, where the claim was included in advertising rate cards. Did the chicken or the egg come first? Who knows? It doesn't matter. What matters is the damage it continues to inflict, especially on those expecting RIOC to be a reputable source of information about our community. Considering that the 14,000 number is misused from one end of the Island to the other, it's surprising how easy it is to debunk. In September, 2011, when the 2010 Census data became available, I got the assignment to write about it for the Main Street WIRE. It was a coup because, through the courtesy of a not to be named elected official, we got a copy of the statistics ahead of everyone else. My report was published in the next WIRE. "Affected most by an influx of new residents in Southtown, still only partially built, and the reborn Octagon, Roosevelt Island's population has bounded forward. There are now 11,661 of us, according the new census, jumping nearly 22.5 percent from the 9,520 figure reported in 2000," I wrote. More than 15% of those residents lived in Goldwater and Color Hospitals, not good news for my business associate, since a majority of them are too incapacitated or poor to spend much of anything on Main Street. And there's no reason to believe that our population has increased. One credible online source reports it's actually gone down. Yes, a new building was finished and populated in Southtown, and Cornell Tech has an active residential tower. But it's a wash because, when Goldwater closed, nearly a thousand residents went with it. Another thing I found when looking at the 2010 data, "... the number of those identifying themselves as Asian more than doubled, from 1,023 residents to 2,125, representing 18.2% of the population." Casual observation tells us the Asian population has increased further, and the way in which it's increased matters. 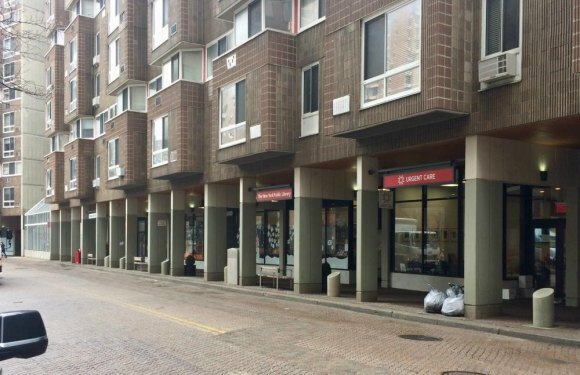 Apartments once rented to families in several Roosevelt Island complexes now house a burgeoning transient student population, the rooms modified - often illegally - to pack more in. While this may even add a few hundred bodies to the next census, it's subtraction by addition for Main Street businesses, which can't build customer loyalty out of temporary residents. Another significant factor can be observed any day in the early evening outside Manhattan Park and the Octagon. Vans pull up to the curb loaded with authentic Chinese food deliveries from Flushing. Students come downstairs to grab bags of delicious treats like they're used to at home. It's also a fair bet that median income levels have dropped. Students struggling for grades and working as interns are no match, dollar for dollar, for the once abundant population of diplomats and families that once lived here. Finally, it's unrealistic to compare Roosevelt Island to other towns of comparable size. Almost without exception, other towns are embedded in car culture, meaning plenty of nearby lots and easy to find street parking. And anyone who's lived upstate can tell you that a 20 minute drive from one town to another for dinner or shopping is not unusual. A viable business for one town is also attractive for nearby towns. None of that works for Roosevelt Island. We hope that folks who've been distributing false information, especially those in official positions, will be fair and begin using supportable population figures. It's not rational, however, to expect they will. Anyone who cared about facts could've found out that the 14,000 figure was nonsense, long ago. And very likely, they did. It just hasn't served their interests to do anything about it.